fototazo: Argentina Notebook: Review of "From Bauhaus to Buenos Aires"
Argentina Notebook: Review of "From Bauhaus to Buenos Aires"
© 2015 Estate of Horacio Coppola. Grete Stern and Horacio Coppola at the Museum of Modern Art" by Jaime Permuth. Other posts in this series on Argentina include Jaime Permuth's interviews with Fabián Goncalves Borrega, Jorge Piccini and Sofía López Mañán, an interview with Guillermo Srodek-Hart by myself as well as Q&A's with Karina Azaretzky, Sebastián Szyd, Gaby Messina and Marcela Magno. In a perfect world I would commission a tango from the likes of Piazzola or Gardel. It would be titled "From Bauhaus to Buenos Aires" and it would sing of the love and passion between the German girl and the Argentinian boy who fell in love between the world wars; who created art to compensate humanity for its needless suffering and folly; and of their triumphant return from the ashes of Europe to the greatest city on earth (Buenos Aires, it goes without saying) on the way to inspiring a nation on the road to modernity. That is, I would commission a song to celebrate all that which the Museum of Modern Art left out when they cast youthful lovers Grete Stein and Horacio Coppola as mere colleagues traveling on parallel artistic tracks. Grete Stern (1904-1999) was born in Elberfeld, Germany. She was educated in graphic design and typography at the Technische Hochschule Stuttgart. In 1927, at the age of 23, the aspiring artist left her native city and moved to Berlin, the intellectual capital of central Europe, where abundant artistic and commercial opportunities were to be found. For the next five years she would become actively involved in the city's avant-garde circles and further her artistic education at the Bauhaus School under the expert guidance of Walter Peterhans. During that first year at Peterhans' studio, she met and began a life-long friendship with Ellen (Rosenberg) Auerbach. Together they opened ringl + pit, a pioneering studio specializing in portraiture and advertising. Named after their childhood nicknames - Stern was ringl; Auerbach was pit - the studio embraced both commercial and avant-garde sensibilities. In Buenos Aires during the same period, Horacio Coppola (1906-2012) initiated his photographic and cinematic experimentations, exploring his surroundings and contributing to the discourse on modernist practices across media in cultural magazines. Even in his early work, Coppola was looking for inspiration far beyond the borders of his native country. 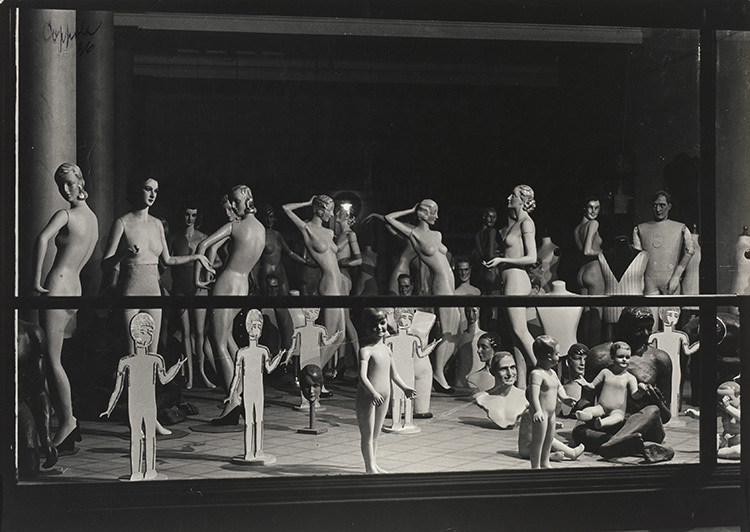 His depictions of Buenos Aires have more in common with Russian Constructivists such as Rodchenko or American modernists like Paul Strand than with local colleagues. 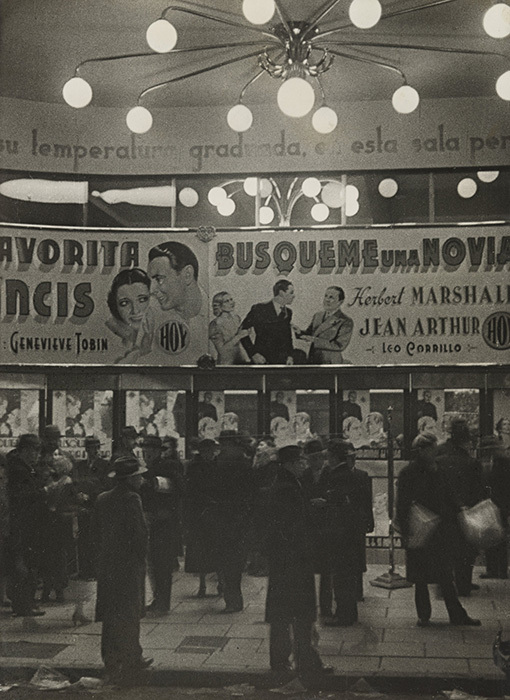 In 1929, Coppola founded the Buenos Aires Film Club to introduce local audiences to the best in foreign films. 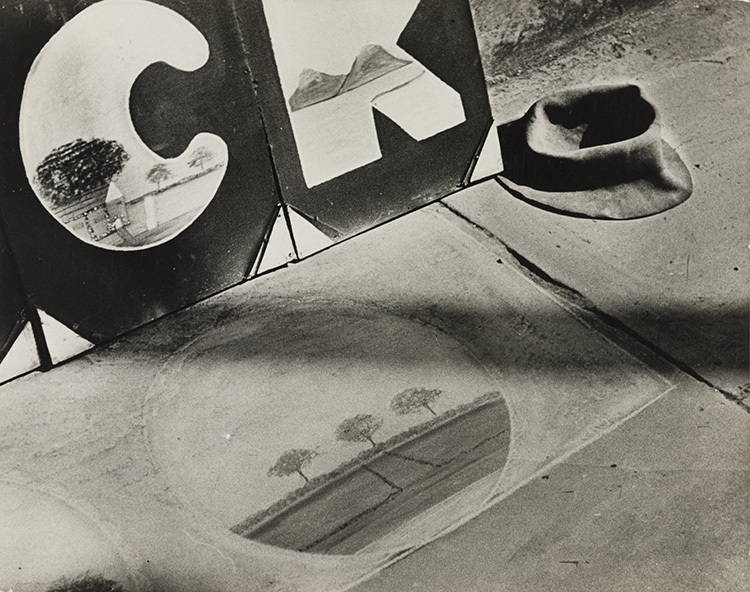 His interest in new modes of photographic expression led him to the Bauhaus in 1932. There he met and fell in love with Stern. The rising tide of Nazi Germany closed the Bauhaus in 1933 and forced Stern and Coppola to flee to London. Stern arrived there first and quickly became integrated into the leftist milieu of artists and intellectuals already established in the city. She began a series of (now iconic) portraits of notable German exiles such as playwright Bertolt Brecht, actress Helene Weigel, philosopher Karl Korsch and psychoanalyst Paula Heimann among others. After traveling and photographing throughout Europe, Coppola joined her there. He embarked on a series of modernist photographs of London whose point of view oscillated between social concern and surrealist strangeness. In the summer of 1935, Stern and Coppola married and embarked for Buenos Aires where they mounted an exhibition in the offices of the avant-garde magazine Sur, announcing the arrival of modern photography in Argentina. Coppola focused on the unique character of Buenos Aires, while Stern's created portraits of the city's intelligentsia. A year later, Coppola received a major commission to photograph Buenos Aires in the context of the celebration of the 400th anniversary of its founding. This commission was an opportunity for him to create his own modern vision of the city. It also lead to the making of his final film, The Birth of the Obelisk. Throughout the 1940s, Stern went on to build an impressive collection of portraits of the city’s cultural elite: playwright Amparo Alvajar; painters Antonio Berni, Gertrudis Chale, and Lino Eneas Spilimbergo; poet Mony Hermelo; and graphic designer Clement Moreau as well as the writers Pablo Neruda and Jorge Luis Borges. 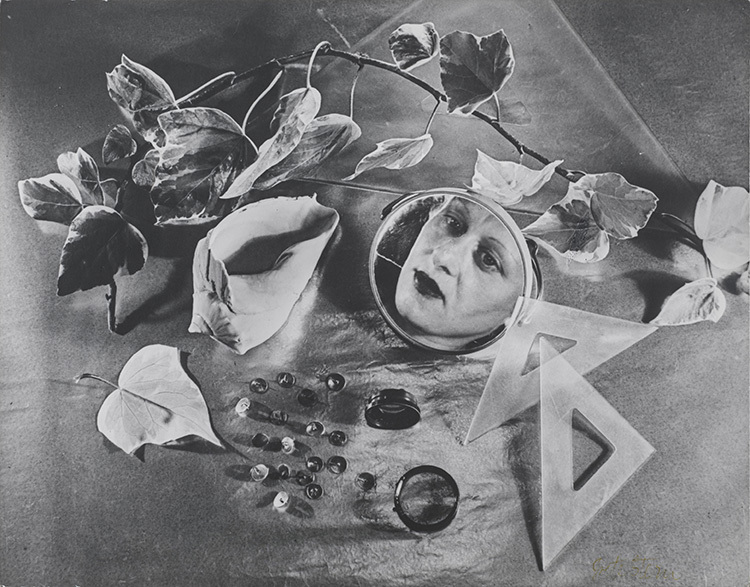 The exhibition ends with Stern's Sueños (Dreams), a series of photomontages she created during the years 1948-1951 for the popular women's magazine Idilio, which published a weekly column "El psicoanálisis te ayudará" (Psychoanalysis Will Help You). Stern was charged with the illustrations, which portrayed women's dreams in a surrealist vein. Although there is a proto-feminist quality to these illustrations, the exact opposite is there as well: an elegant attention and regard for fashion that recalls Stern's editorial and advertising work in Europe. The best known of these photomontages is probably "Dream No. 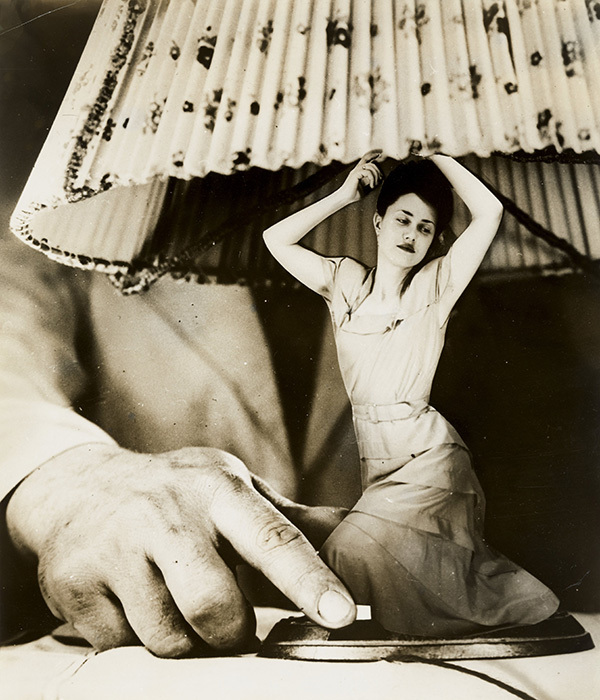 1: Electrical Appliances for the Home" in which a beautiful woman - posed with arms upraised and a suggestive twist of the torso - serves as a base for a table lamp. A male hand reaches around to switch her on and off. 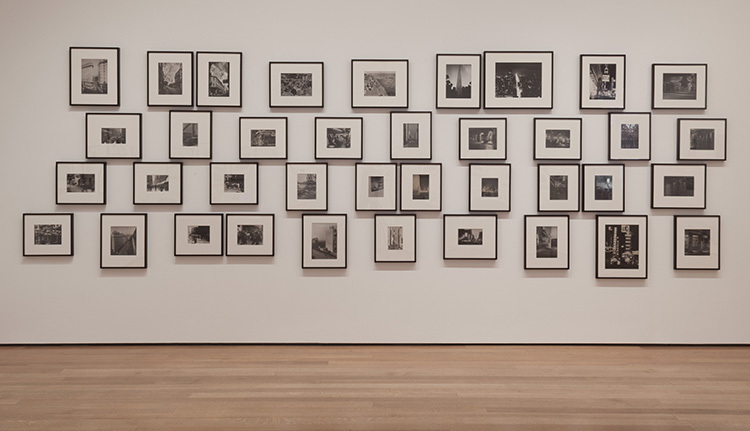 MoMA's exhibition gathers more than 300 works from museums and private collections from across Europe and the Americas. The galleries are studded with an impressive array of photographic gems, many of which are being exhibited in the United States for the first time. As such, it is a significant and notable accomplishment. However, as Martha Schwendener points out in her review for The New York Times, the exhibition feels like a series of his/her rooms suggesting two discrete bodies of work rather than a shared journey in life and in the arts. 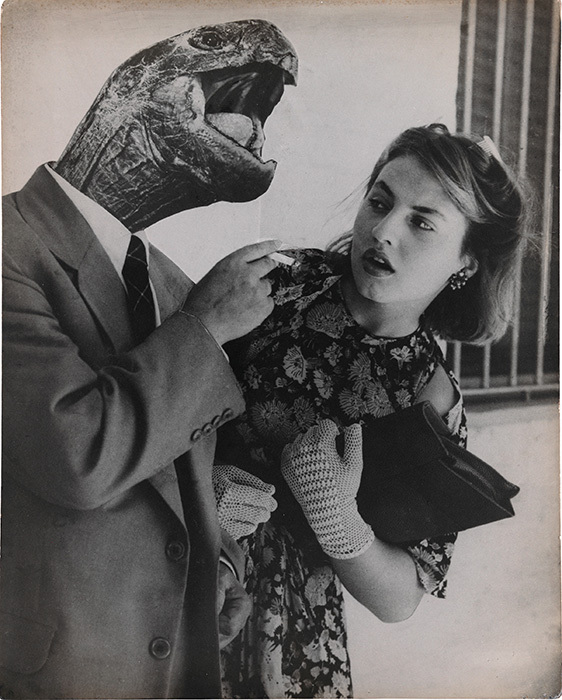 Grete Stern and Horacio Coppola were not only deeply invested in their art but in each other. Their charisma drew a circle of eminent friends and colleagues to their orbit. They were essential figures of Argentinian modernism and the importance of their historic legacy is undeniable. I felt disappointed that this aspect of their story was downplayed in the curatorial narrative. Incorporating objects and ephemera from their lives might have served to better contextualize the myriad ways in which two individuals remain bound to each other and vitally engaged with their contemporaries. 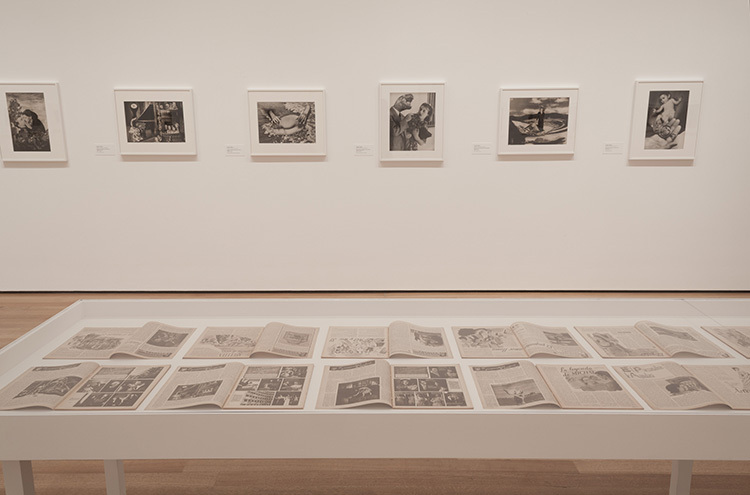 In response to my query about the impetus for and timing of this exhibition, Senior Photography Curator Roxana Marcoci responded that it stemmed out of curatorial interest in the scholarly reassessment of the pioneering work of Grete Stern and Horacio Coppola and formed part of MoMA's pan-institutional Initiative "Contemporary and Modern Art Perspectives in a Global Age" (C-MAP). Transmissions: Art in Eastern Europe and Latin America, 1960–1980 is an upcoming major exhibition showcasing a wealth of Latin American photography (works by Oscar Bony, David Lamelas, Lea Lublin, Ana Mendieta, Liliana Porter, and Miguel Angel Rojas). Co-curated by Ms. Marcoci with Stuart Comer and Christian Rattemeyer, it opens at MoMA this September.